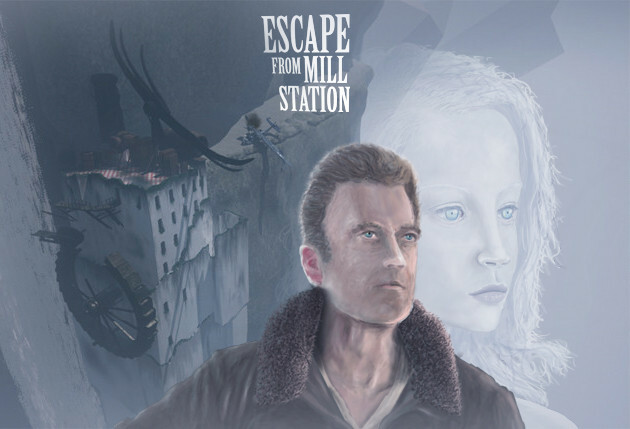 Escape from Mill Station is an action / adventure / puzzle solving and story driven game set in an imaginary world behind the Bermuda Triangle known as the World of Clouds. Its played in the 3rd person and currently being developed in Blender and the Unreal 4 game engine. Roy Stratik leads a team onboard a Catalina sea rescue mission in the Bermuda Triangle. Lightning hits their plane and they seem to fall into a strange and bizarre world. Roy helps all these characters resolve their problems and helps each and every one of them in various different ways. They all wish him good luck on his mission to find his missing crewmen and give him clues as to how to find them. Will Roy find his crew and what will he learn about this strange world? Will they be able to find their way back to earth? Donations go through PayPal which is perfectly safe to use. You can donate any amount you like and you don't need to set up a PayPal account you can use a credit or debit card. Your kind donation will be a great contribution and assurance towards the ongoing development of this game project. Thank you!! Or you can subscribe for $5 U.S.D. / year to receive access to selected pages thank you!